Ok everyone knows i LOVE shoes!! A girl can never have too many! “Simplysoles was created with the idea that beautifully designed and expertly crafted shoes exist, but the stores showcasing them are hard-to-find or difficult to get to.” Their website is packed full of beautiful shoes and handbags and I immediately fell in love with everything!! 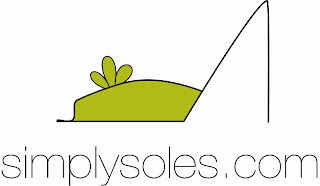 Now only is Simplysoles selling beautiful shoes and bags, they are helping out the community which I think is great. They have teamed up with Suited For change which is a non-profit organization that providers clothing and accessories for women who are making the transition from homeless shelters, rehab or jail. If you order a pair of shoes from Simplysoles & then send in a pair of donated shoes, you will get 10 % off your next order. I just have to share my favorite item on their site, The Bertha by Bulga Bag. This has just been entered onto my Christmas list this year, I love the color & and the shape!!! Simplysoles is offering one lucky Meandbella reader a $50 Gift Card to their amazing online shop. If you would like to be entered into this contest you MUST head on over to their site and sign up for their newsletter HERE. SO easy, and I will be checking to see if the winner signed up. This is a great prize, so head on over to Simplysoles & sign up now! Make sure you leave a comment here letting me know you signed up and make sure you let me know what email address you used. -Tweet It (1 entry) Can be done daily! That’s it! Good luck! winner will be chosen by random.org on December 21st. You must live in the US, and you must be over 18. Winner will have 48 hours to respond to the winning email, otherwise another winner will be chosen. Make sure you have your email addy in your comment or your blogger account, or else no prize for you, and last but not least, good luck! !